Dicamba drifts. Apparently, more than expected by a lot of farmers, agriculture officials and manufacturers. But does that mean, as the Center for Biological Diversity claimed recently, that the herbicide is hurting migrating Monarch butterflies? 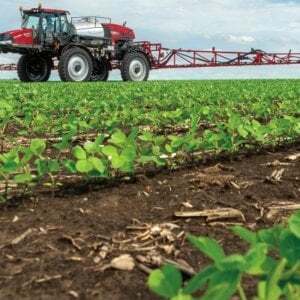 According to figures gathered by the University of Missouri, about 3.6 million acres of soybean were damaged in 2017 by drifts of dicamba, accounting for 2,708 dicamba-related damage reports. About a third were in Arkansas, but the rest ran through the center of the country (except Texas) and the Midwest, Southeast and Middle Atlantic. These figures were behind several movements by state agricultural officials to either ban the herbicide or limit its application. They also factor into several lawsuits against Monsanto and DuPont, companies that have developed new lines of soybeans engineered to work with the herbicide. As luck would have it, the dicamba-damaged areas are in prime Monarch migration territory. So, the Center for Biological Diversity issued a report in late February, “Menace To Monarchs,” looking at the correlation between dicamba use and drift, and Monarch migrations. 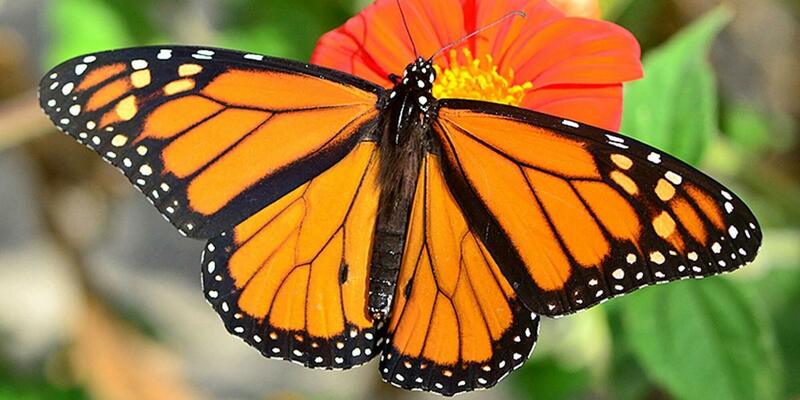 The center’s report concluded that dicamba could erect significant barriers to migrating butterflies making their way north in the summer and south in the fall. 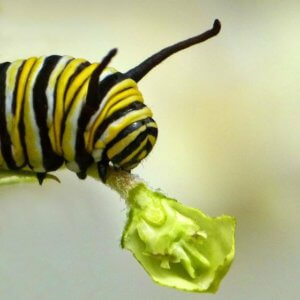 The damage, according to CBD, comes mainly from the weed-killer’s ability to kill off milkweed, a plant essential for furthering the growth of Monarch larvae. The report predicted that 60 million pounds of dicamba could be used in 2018, particularly on tolerant soybeans and cotton, and called for the US Environmental Protection Agency to let a two-year registration for use on GM soy and cotton expire this year. “We’re not calling for an outright ban on dicamba, but we don’t believe that it can be used safely on Monsanto’s genetically engineered crops,” said Nathan Donley, senior scientist at CBD and author of the report. By 2019 more than 60 million acres of the monarch’s migratory habitat across the heart of the United States will be doused with dicamba. The projected increase in dicamba use across an area larger than the state of Minnesota poses a quickly escalating new threat to monarch populations that have already fallen by 80 in the past two decades. Of course, dicamba and GE soybeans don’t go back 20 years. And the dicamba drift problem arose just last year, and its cause is now being scrutinized. While the “report” is not exactly a peer-reviewed study, a few scientists have weighed in on the results. While I have been fairly critical of the Xtend system due to off-target movement of dicamba and subsequent injury, I think CBD has exaggerated the threat to monarchs posed by dicamba. I would like to make it clear that while I think their analysis is flawed, I do believe additional restrictions on dicamba use are required to minimize risks associated with volatilization. The loss of common milkweed from crop fields in the Cornbelt is a contributing factor in the monarch’s decline. However, to expect farmers to intentionally allow milkweed to survive within their fields is unrealistic. Farmers use the most cost-effective practices available to control weeds. Decreasing the intensity of management to allow milkweed to survive within fields would increase the likelihood of other weeds surviving, and therefore negatively impact yield and profitability. Under field conditions I suspect the damage to milkweed would be much less since the majority of common milkweed in the field develops from established rootstocks, and the plants would be exposed to dicamba at later stages of development. We evaluated the response of common milkweed to low doses of dicamba, and the influence dicamba injury had on ovipositioning by monarchs. Doses simulating drift equivalent to 0.1 and 1.0% of the labeled rate (0.5 lb/acre) caused severe distortion of leaves that emerged following application, but the emergence rate of leaves was not affected (Table 1). We did not determine milkweed biomass; while I suspect there was some reduction, it would have been much less than 50%. 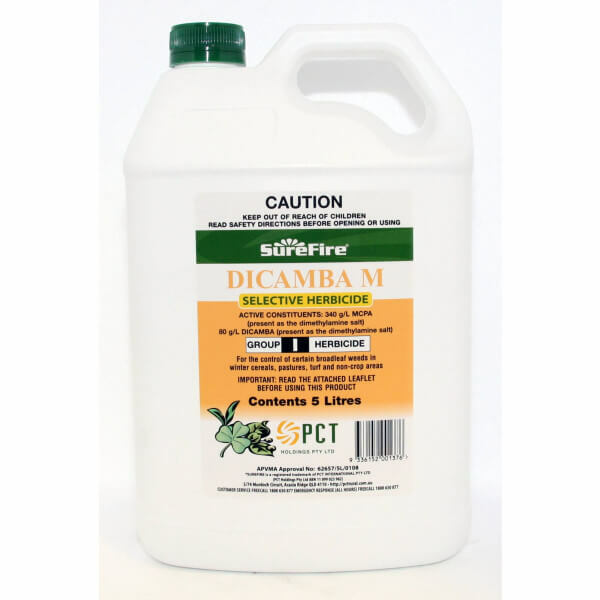 When dicamba was proposed, there was strong opposition since this product was known to have unintended effects due to drift. That admonition was ignored and the product was approved and the unintended consequences became a reality as drift into soybeans that were not dicamba resistant devastated soybeans crops in many states. I don’t know the details, but there are now lawsuits due to lost and diminished soybean yields. As to monarchs, the impact, should drift occur, could be on the flowering plants and milkweeds adjacent to treated fields. There are a lot of “ifs” to deal with here since we don’t have a good grip on the amount of monarch and pollinator habitat adjacent to fields that are likely to be sprayed. 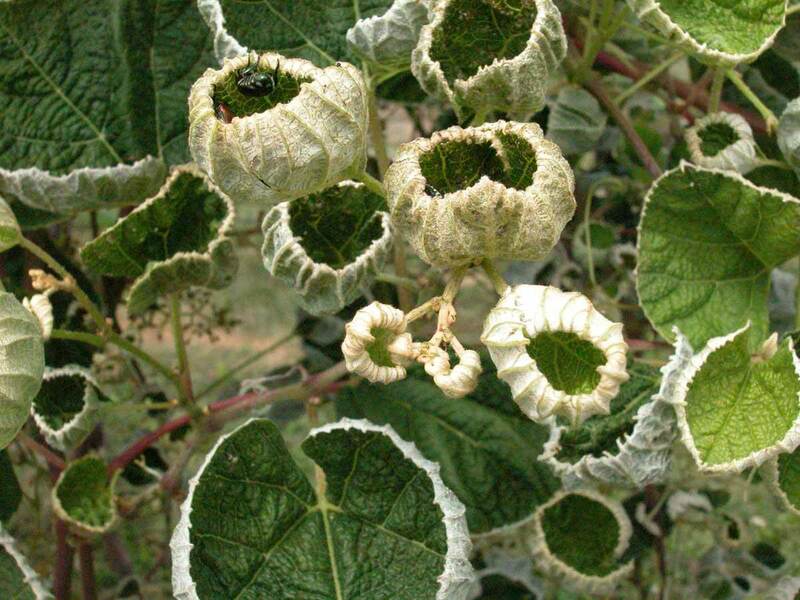 That said, the loss of plant biodiversity due to drift of dicamba needs to stop. Other scientists in the past have questioned whether Monarch population declines have much to do with milkweed. Anurag Agrawal, an entomologist at Cornell University, observed in 2016 that Monarch declines began in late summer and continued during the butterfly southern migration, when they don’t rely on milkweed. Others have contended that in the last two decades, there actually hasn’t been a significant and trending Monarch decline, while yet another scientist, Lincoln Brower, points to habitat destruction in Mexico as a contributing factor. Media coverage hasn’t been so complex. St. Louis Public Radio ran a story entitled “Dicamba is hurting monarch butterflies, scientists say,” and essentially quoted solely from the CBD report. 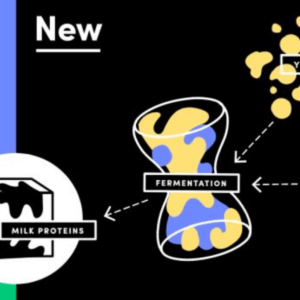 What is the Center for Biological Diversity? The Center for Biological Diversity is a nonprofit conservation organization with more than 1.2 million members and online activists. In 2014 it generated more than $14 million in support and revenue. Part of what made the report so unusual was that it was not written by a team of bee specialists or by independent entomologists, and it excluded any input or even a review from wild bee experts. Instead, this “comprehensive review of all literature” was written by a single author with no training or background in entomology. Similarly, this report was not written by a team of specialists or entomologists, and was authored by Nathan Donley, who has a background in cancer biology, not entomology.